Sexual harassment is a risk that exists in all workplaces, in all sectors, and in all countries. Governments and employers are responsible for ensuring a safe and respectful workplace environment for all. Governments have the overall responsibility to enact legislation on sexual harassment and make sure the legislation is implemented in the public and private sectors. It is also governments’ responsibility to inform the public about their rights and about the existence of the legislation. Similarly, unions and employers’ organisations should take the lead in engaging with governments to help bring about these changes, as well as educating their own members and offering support to victims of sexual harassment. Employers must take the lead role in ensuring that their workplaces are free from sexual harassment and that their workforce has the information and support they need to overcome these barriers. Sexual harassment is a form of discrimination against women. Most Pacific Island countries have ratified the Convention on the Elimination of All Forms of Discrimination against Women (CEDAW). Therefore, governments have committed to adopt laws to protect women and girls against discrimination and this can be the foundation to enact national legislation against sexual harassment. Sexual harassment is a clear form of violence against women and girls. 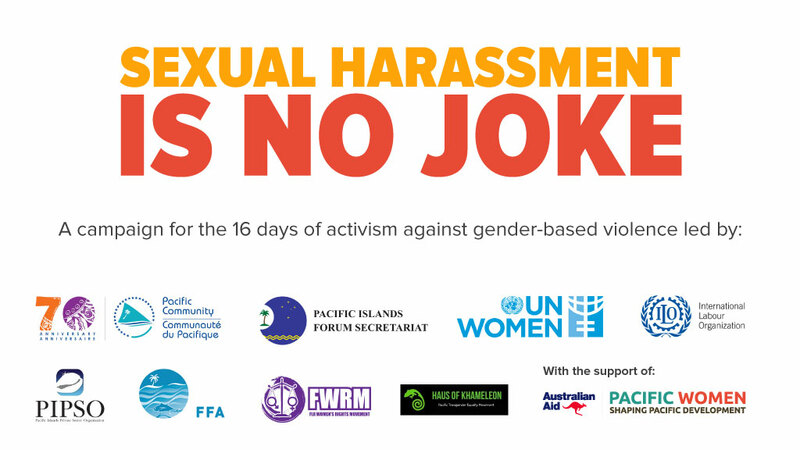 In 2012, the heads of Pacific Island countries endorsed the Pacific Leaders Gender Equality Declaration, in which they pledged to end violence against women. The adoption of legislation and policies against sexual harassment would be in line with this commitment. 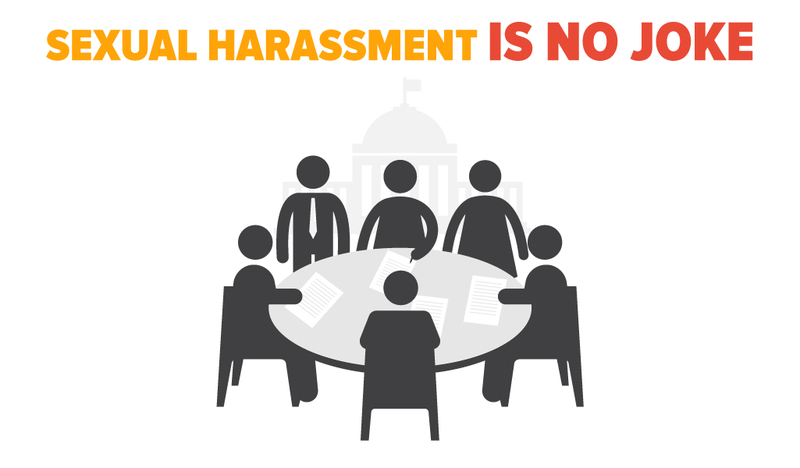 Governments must enact legislation on sexual harassment. Not only does that provide protection to victims; it is also a legal instrument they can use to claim their right, and it sends a clear message that sexual harassment is unlawful. Employers must adopt policies and guidelines against sexual harassment. Even if there is no national legislation in place, an employer must adopt a clear policy, stating zero tolerance for sexual harassment and the consequences of improper behaviour in the workplace. 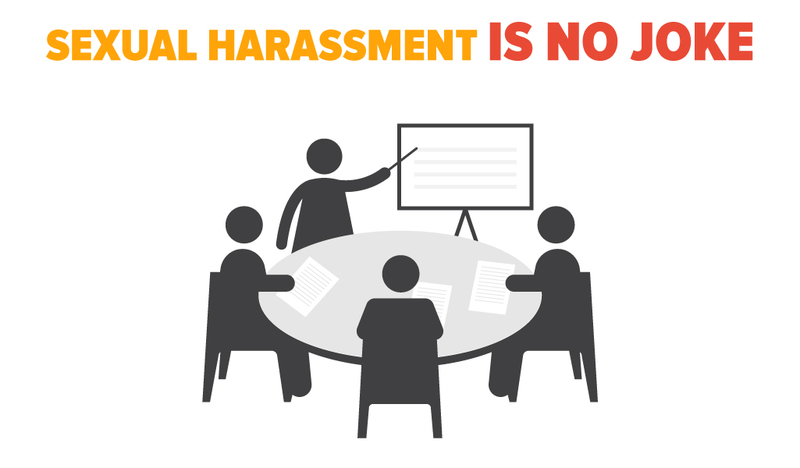 Build capacity to address sexual harassment in the workplace.Training and guidelines should be provided to managers of all levels, but especially human resources managers, on how to prevent sexual harassment and how to handle cases of it. Raise awareness. It’s not enough to have legislation or a policy if people don’t know what is in it and if they don’t know what constitutes sexual harassment. Governments can organise public awareness campaigns; employers can organise regular information sessions on sexual harassment and the content of their policy; and unions and employers organisations must also educate their members on sexual harassment. Document sexual harassment. There are assumptions that sexual harassment is rare and occurs only in some sectors, that it happens only to some women, and that it’s not that important. Yet the reality is that sexual harassment is widespread and has serious consequences for people and workplaces. Women subjected to sexual harassment feel isolated, even guilty, and have a tendency to keep it to themselves. But evidence of sexual harassment needs to be generated in order to inform governments and employers and support the adoption of legislation and policies. So keeping quiet will achieve nothing. Record the cases. While it is vital to protect the identity of victims of sexual harassment, it is important for employers to keep a record of the number of reported incidents and outcomes. This information is important to monitor the effectiveness of a policy. Complaints of sexual harassment are an indicator of the effectiveness of a policy; they show that people are aware of it and do not tolerate this behaviour. It is also important to document outcomes so that employees know that complaints are being taken seriously by employers and also to deter others from such behaviour in the future.